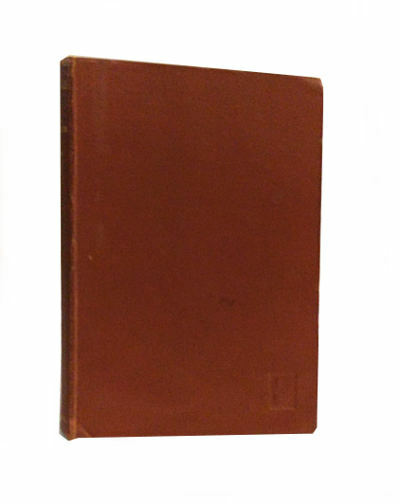 Condition: Hardcover, no dust jacket. Pocket edition. Slight wear and foxing, overall very good. 318pp., 6.5″ by 4.5″. Tidemarks is a record of the author’s travels around Southeast Asia, and mentions Batavia, Jogjakarta, Macassar, and Singapore, amongst other places in the region. A deeply prejudiced account with convoluted writing. Should be shredded, except as a reminder of the attitudes of colonialists who truly saw themselves as masters of the human race. Its only worth is as a record of the landscape of the Malay Archipelago of the time, which is quite interesting. 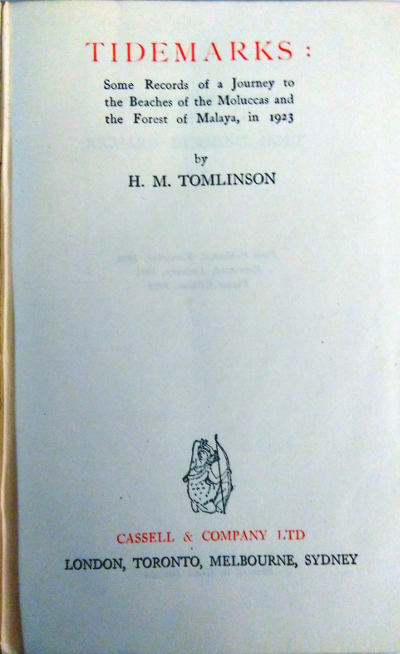 Henry Major Tomlinson (21 June 1873 – 5 February 1958) was a British writer and journalist. He was known for anti-war and travel writing, novels and short stories, especially of life at sea. He was born and died in London.